I was just going through my computer sorting through things to clear up disk space and found this old article that I wrote for French Property News way before I was writing fiction as Amy Plum. 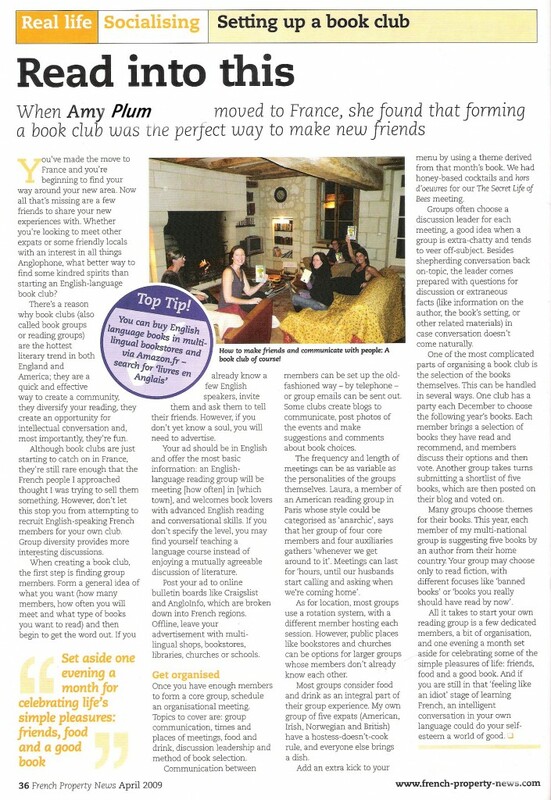 It’s on how to start and English-language book club in France. Hope you enjoy!